Key difference: The terms ‘pdf’ and ‘cdf’ are file extensions or formats that allows users to read any electronic document on the internet, whether offline or online. The main differences between the two are based on their features, readability and uses. With the increasing use of technology in one’s daily life, one can almost do anything via internet. One can shop online, order food online, play games online, and even stream movies online. So, why not read online too. Thus, come in, the ‘pdf’ and ‘cdf’ file reading formats. Similar in their use, both the formats are widely available and used for reading magazines and books on the internet. The term ‘pdf’ stands for ‘Portable Document Format’, whereas the term ‘cdf’ stands for ‘Computable Document Format’. These are proprietary formats that help in reading and viewing electronic documents, either on or offline. They are really simple and easy to use, as they provide an easy a page-by-page view of documents, exactly as their printed form. They also have keyword searches, which allow the users to just type in the keyword and easily find the pages with the given word. Although, these formats are similar in their usage, there are quite a few differences between the two document readers. 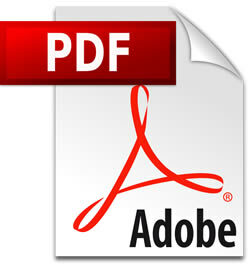 Often, the Portable Document Format (pdf) is a generic term that is associated with Adobe. The Adobe PDF represents the 2-D viewing of the electronic documents. It formats the document to change its independent software, hardware, and operating system according to the application. CDF, on the other hand, is an electronic document format. It was designed to allow easy authoring of dynamically generated interactive content. 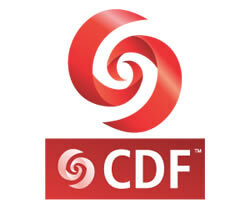 The CDF is a published public format created by Wolfram Research. It was specifically created to run the World Wide Web, and to ensure its workability and compatibility with a wide range of formats that included SVG, XHTML, SMIL, and X Forms. Another difference is that Adobe PDF is royalty free software that allows users to read and write PDF files without having to pay anything to Adobe- the patent holder of the PDF software. Though, such is not the case for CDF, as the files are already in electronic format that work under a restrictive license, and can be downloaded for fee from the owner’s site. The technology used in both the formats is also different. The PDF format runs on three specific technologies that are used in the running of the file: a subset of PostScript programming language, which is used for generating the layout and the graphics; a font embedding (replacement) system, which allows fonts to travel with the documents; and a structured storage system that is used to bundle all the elements and associated content into a single file. CDF, on the other side, runs on the pre-generated interactive content provided by other formats. Also, the file format runs on a Mathematica platform that allows the content of the document to be generated in the same platform. The reader generates response for the user through the algorithms or visualizations, which can be only described in the Mathematica platform. Also, this property makes it suitable for scientific, engineering and other technical content, and digital textbooks. The term ‘pdf’ stands for ‘Portable Document Format’. The term ‘cdf’ stands for ‘Computable Document Format’. It does not support all technical files. It does support all technical files.